Magic Snow Powder - Just Add Water - Makes 1.43 Gallons of Snow by Unknown at Two Clock. Hurry! Limited time offer. Offer valid only while supplies last. You dont have to go to the North Pole in order to see snow. 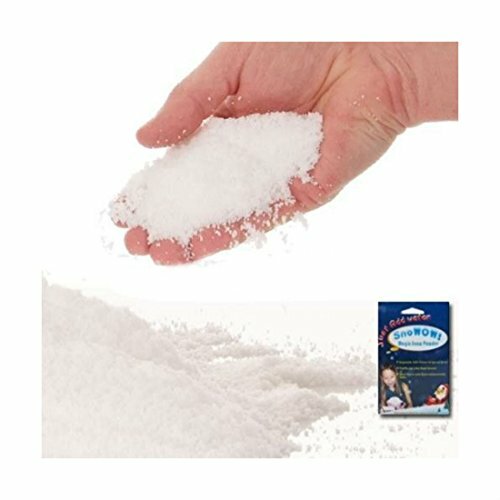 Make your own snow with Magic Snow Powder, which looks and feels just like real snow. You pour water into the measured amount of snow and it will pour over the edges of the container! It is so much fun to play with and run your fingers through. The only difference between Magic Snow and real snow is that you don't have to shovel it! 1 pound of super snow makes up to 11.5 gallons of snow! Magic Snow is great to use as decoration at parties, weddings, displays or other winter themed events.